Our website looked like it belonged to a small company. It was slow, old-looking, and wasn't mobile-friend in any way. 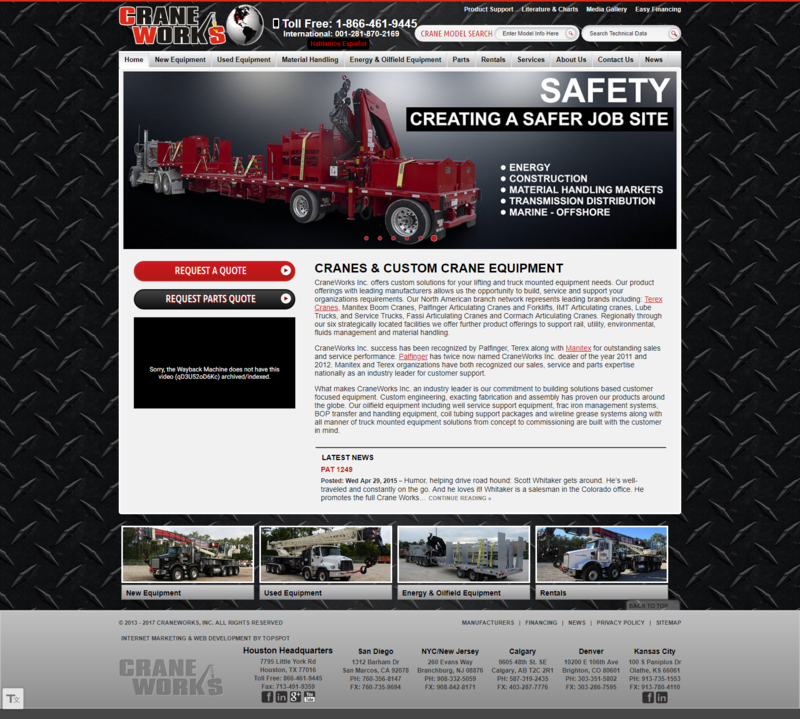 The new site marries our inventory to our website, and brings it to the forefront for our visitors. The form system brought results, fast! With the initial implementation of the launchpad system in place, we've had time to identify opportunities for continuous improvement to further better the site. A separate division of the company is related to its parts sales and service, and this system has a separate database and management process that was equally prime for modernization. 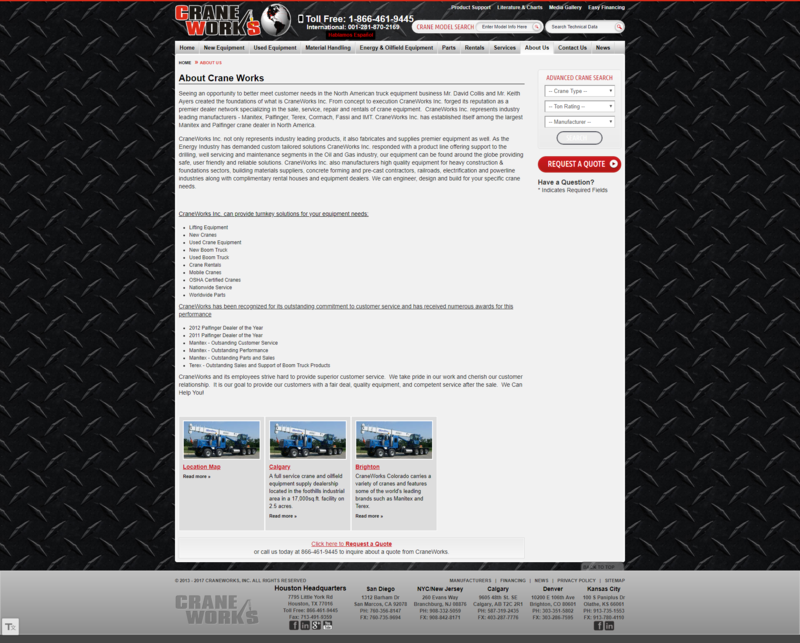 Our goal is to incorporate the parts inventory and automate that process through the website as well. 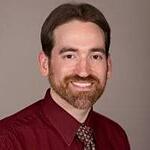 This will gain tremendous efficiency while providing valuable customer data into the contact timeline. With a firm foundation in place, the focus is throwing gas on the fire. 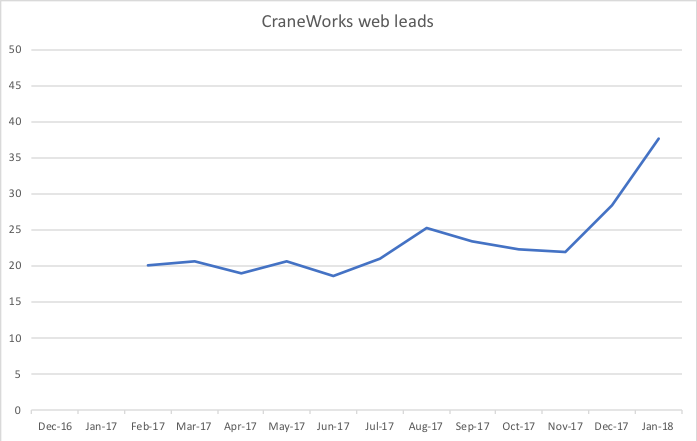 Through full-blown SEO pillar strategy implementation, paid advertising and full closed-loop reporting with their sales system are what is going to excel CraneWorks to the next level. 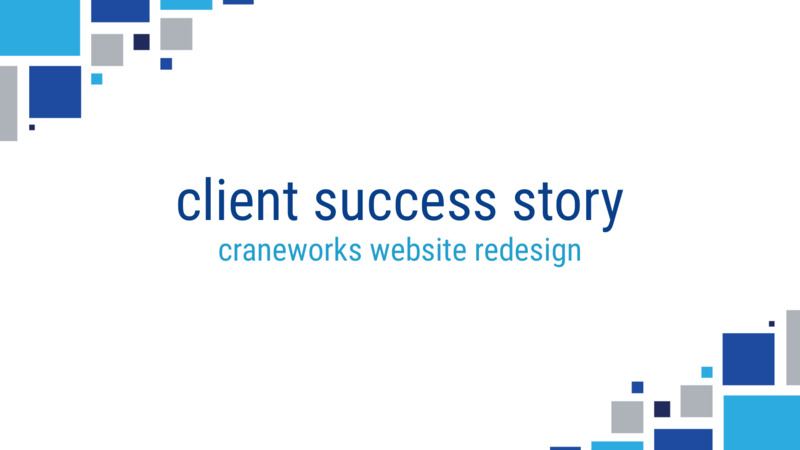 With additional marketing and sales enablement focuses, CraneWorks serves as a classic example of what can happen when sound strategy, creative implementation and excellent user experience can do for a business wanting to capitalize on their digital efforts. 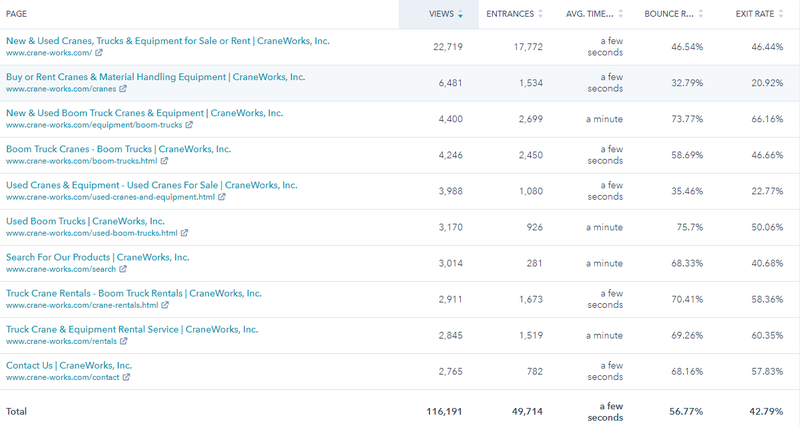 Both Revenue River and CraneWorks are incredibly pleased with the performance of the website, and are looking forward to future successes.